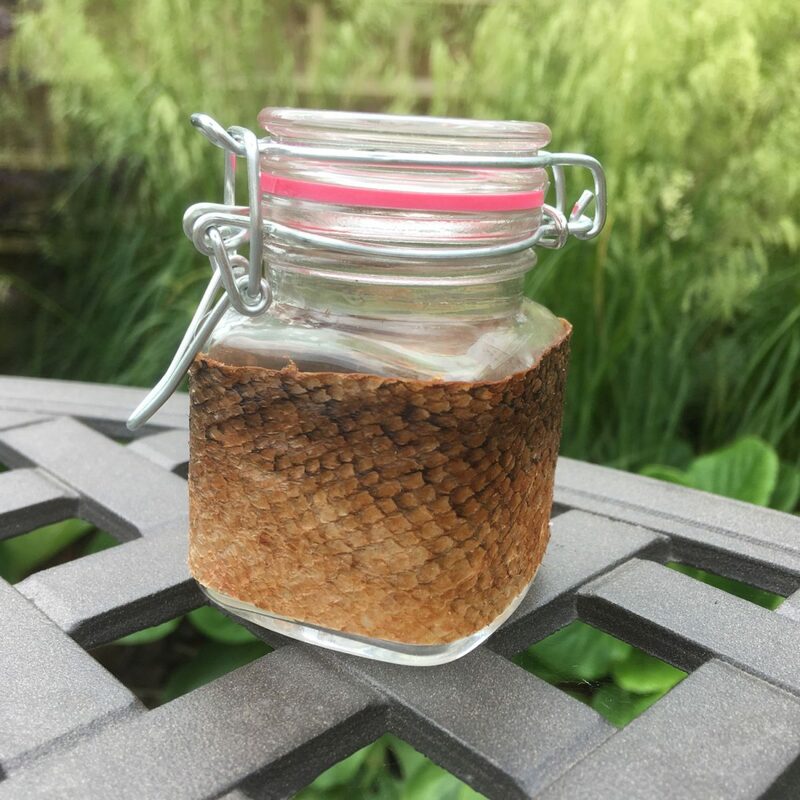 Depending on how the fish skin is tanned, Salmon and fish leather is translucent, making it a wonderful covering for jars, candle holders, lamp shades and window screens. The fish leather has been tanned and processed using natural ingredients such as salt, alum, vinegar and lime as well as natural tree barks and plant dyes. Please check my Etsy shop for some of my latest creations using this zero waste unique material.